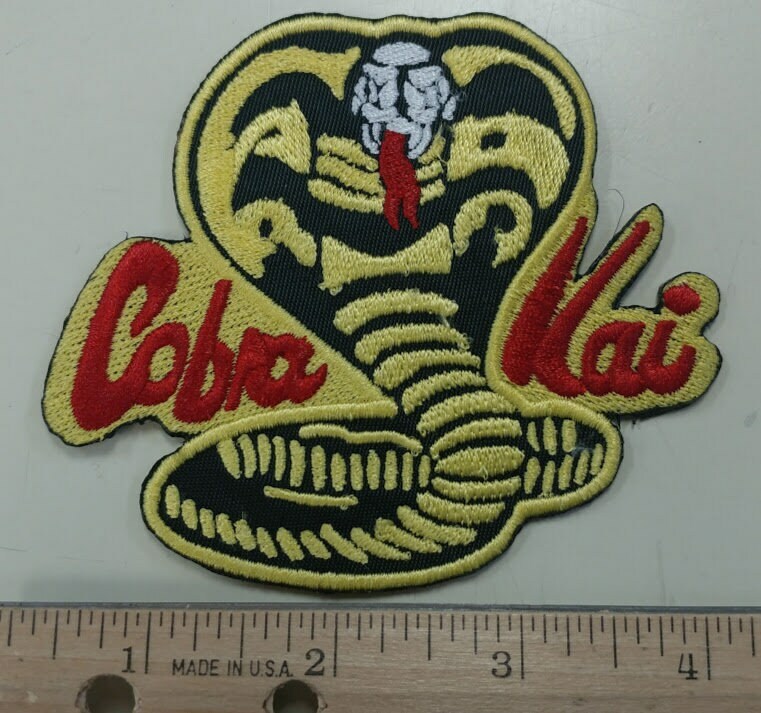 This patch is inspired by the Karate Kid spinoff show on the internet. 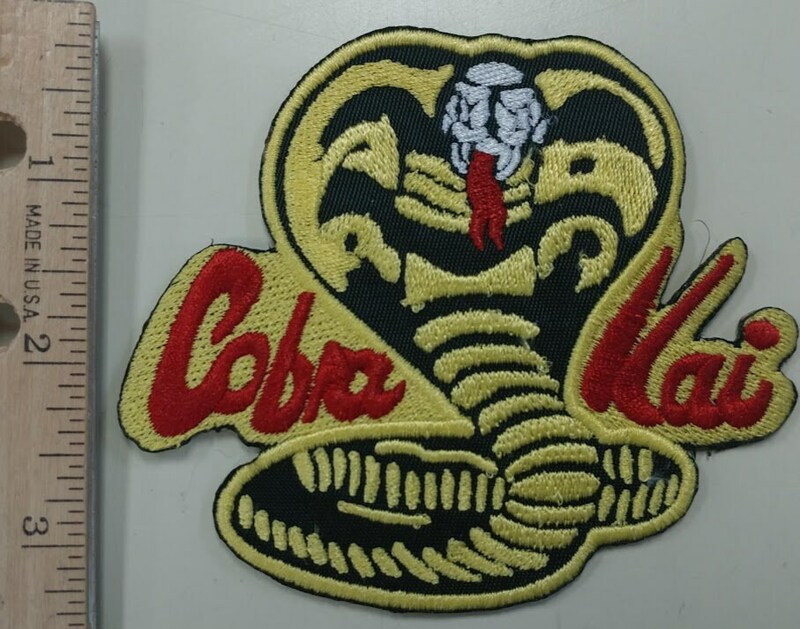 It says Cobra Kai on it and measures approximately 4"W X 3.5"H and is sewn with yellow, red, and black thread onto a black patch background. 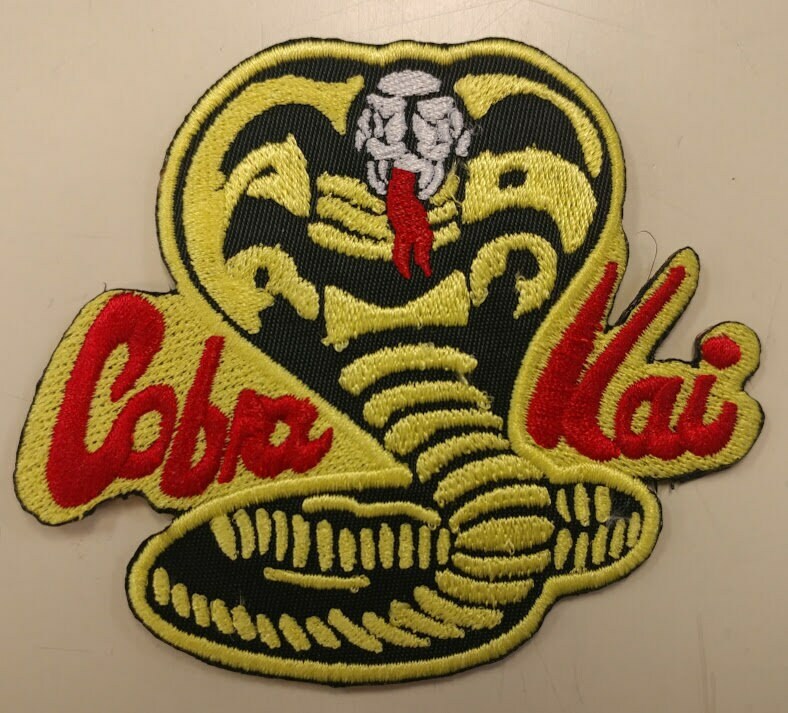 It is coated with an iron on adhesive to help with application.